Brombron is an ongoing project by Extrapool and Korm Plastics and in 2004 also with Worm in Rotterdam. Two or more musicians become artists in residence in Extrapool, an arts initiative in Nijmegen, The Netherlands, with a fully equipped sound recording studio. These artists can work in a certain amount of time on a collaborative project; a project they always wished to do, but didn’t have the time or the equipment to realize. 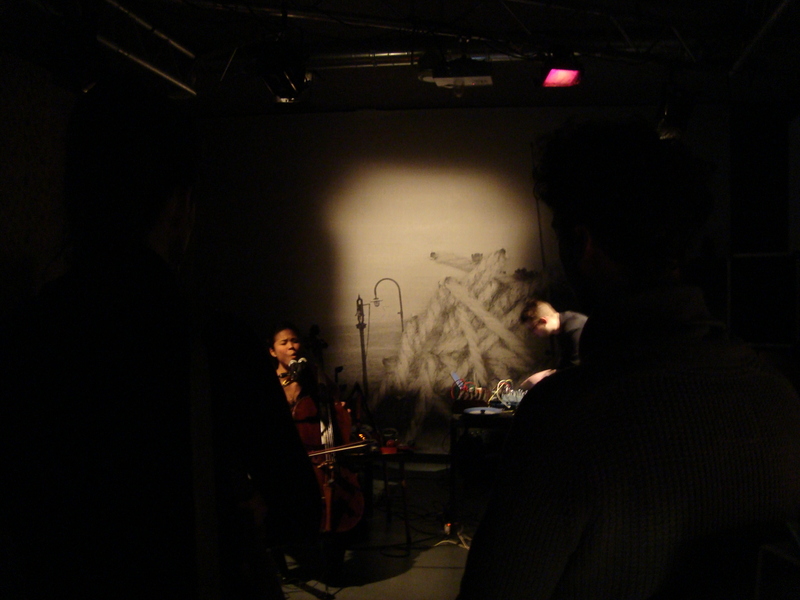 Last weekend Audrey Chen and Wouter Jaspers presented their work that they made for BromBron at (h)ear in Heerlen and at Extrapool in Nijmegen. A nice mix of pulsating synth waves, scary throat sounds and cello. Later this year, Korm Plastics will release a CD from their work at the BromBron studio so keep your eyes open for that one.